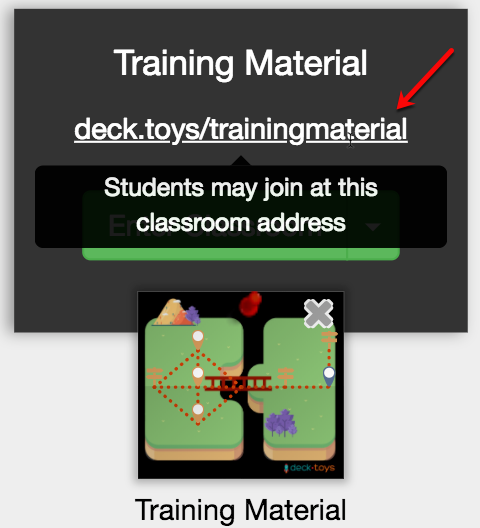 Click on the ' +' icon under the Classrooms and provide a name for your Deck.Toys Classroom. For example, Training Material. Important Note: Students’ reports are stored in each Classroom and thus it is important to create a separate Classroom for every class you teach. 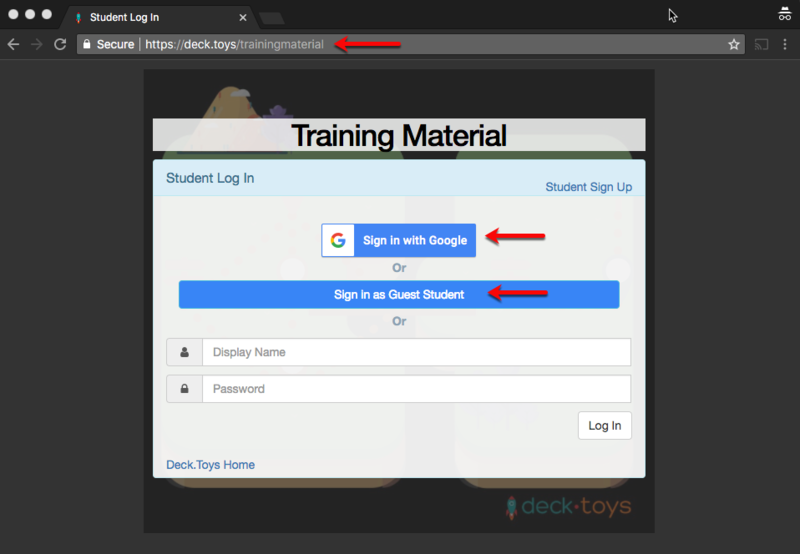 If you would like to find out more ways to assign a deck to your Deck.Toys Classroom, read more here. 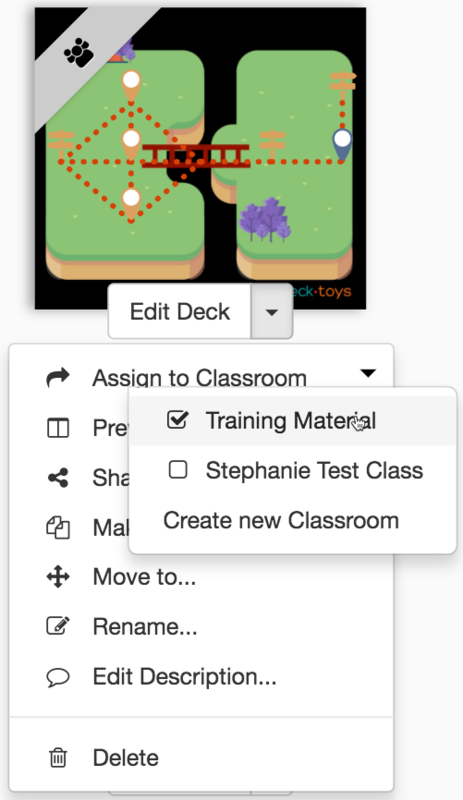 At the start of your lesson, share the Deck.Toys Classroom's address to your students. 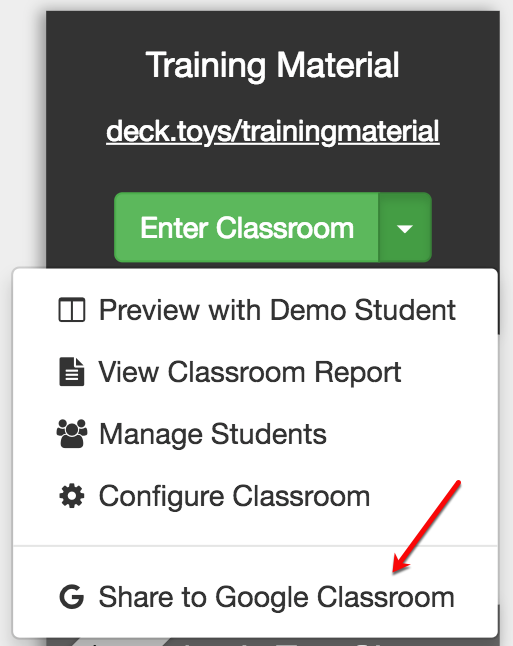 If you are using Google Classroom, you may share your Deck.Toys classroom URL instantly with your students. It is recommended to try connecting to your classroom address as a student with another device or using your browser's incognito mode. Students may log into your classroom with their Google Account or as a Guest. Note: If you are logged in as a teacher, the Teacher's View will be loaded. Note: Students' data are not stored if logged in as a Guest Student. 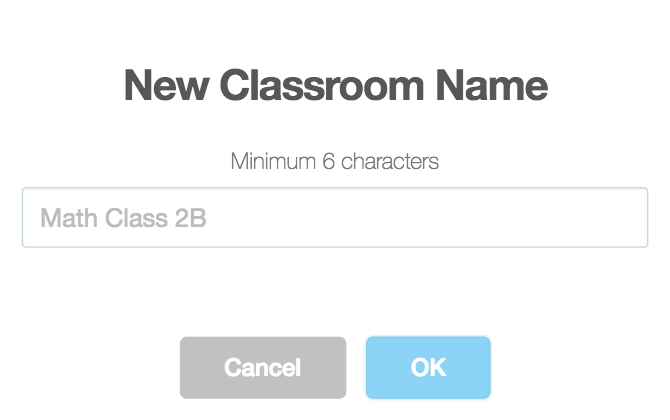 Students may also sign up with their custom username and password if they do not have Google Accounts. When connected, students can immediately explore your deck at their own pace in Free Mode. Switch to Teacher Sync to prevent students from exploring themselves and be locked to your screen. Read more about Teacher's View and Student's View here. 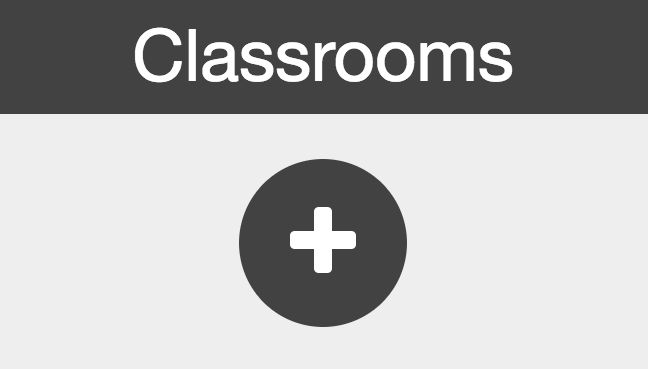 To check whether your students have successfully connected to your Deck.Toys Classroom, click on the top-right button in your Teacher's view to see the list of students that are already in your Classroom.